From spring break service trips, to Special Olympics, to classes, opportunities to engage with community partners are plentiful at Juniata. Here, you can pursue community engagement in a variety of disciplines and in a multitude of ways. 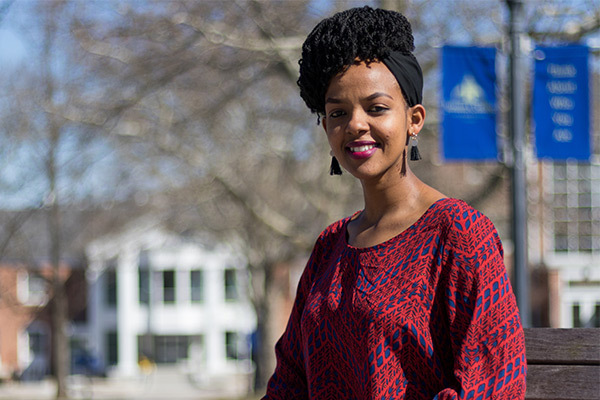 Campus Compact, a Boston-based non-profit organization working to advance the public purposes of higher education, has announced the 268 students who will make up the organization’s 2018 cohort of Newman Civic Fellows, including Juniata College student Liliane Umuhoza.